Join Our Email List for News, Events, & Special Deals! Fox Valley Archery located in West Dundee, IL. 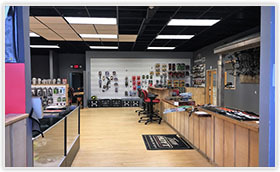 is a Veteran owned business and the premier Northern Illinois archery retail store. We offer a full lineup of Hoyt, Mathews, Mission PSE, Prime, Bear and Elite, Ravin Crossbows and many more along with hundreds of accessory and arrow options. Master Archer and owner of Fox Valley Archery, Pete Mull, has worked on thousands of bows, assisting those of all ages and expertise levels. 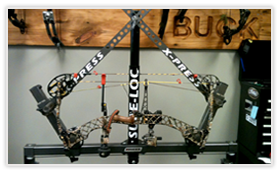 Our archery services include a range of bow repair and custom tuning services. We also offer training and bow rental. 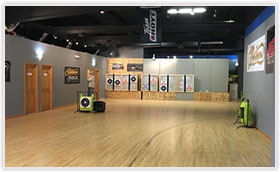 Shoot year-round in our indoor archery range located right here in West Dundee, IL. Our range is great for hunters and target-shooters alike and we offer training services to make sure your form is spot on with our certified archery instructors. Call for instruction information 847-844-3337. Range fee $10.00 per hr. Rental bows $30.00 per hr. Targets $1.00 each.